Abadan's member of parliament Mohammad Saeed Ansari has hit out against discrimination against 'native' workers. Although the Ahwazi Arab homeland hosts many of Iran's oil, petrochemical, agricultural, ship-building and manufacturing industries, the native people endure high levels of unemployment. A member of the Energy Commission, Ansari said that in Asaluyeh, only half of those in employment are native Arabs while in Abadan less than five per cent of workers are from the region. Meanwhile, poverty and unemployment among Arabs in these cities remains high. Ansari also accused the authorities of harassing native people involved in fishing and other traditional livelihoods and being denied provision for self-employment. Racism has also denied many Arabs opportunities to work in local government. Ansari denounced the provincial governor for poor management, which he claimed was making the situation for native people worse. Ansari was supported in his claims by Nafeaa Alboghobiesh, the vice chairman of Showra council, who claimed that the youth of Mahshaher (Mashour) city were suffering high unemployment despite the presence of many petrochemicals companies. 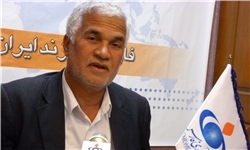 Ahwazi Arab activist Nasser Bani Assad of the British Ahwazi Friendship Society (BAFS) said: "A member of the United Front of Conservatives, Ansari has been increasingly vocal on the issue of Arab rights as his party has sought to undermine the beleaguered President Ahmadinejad. Having remained conspicuously quiet for many years, Ansari has recently spoken on lack of employment rights, racial discrimination and the destruction caused by the river diversion projects. "Ahwazi activists are familiar with the tactics of factions within the Iranian establishment who periodically exploit Arab grievances for their own political ends. When such groups win power, they sustain violent persecution and imprison the activists that were deluded into believing there was a legal, constitutional method of winning their legitimate rights. "When Ahwazi Arabs start peacefully mobilising and speaking up for themselves, they are silenced. There are hundreds of Ahwazi Arabs who have been imprisoned, exiled and executed because they were manipulated and then abandoned by Khatami's so-called 'reformists'. Nothing is likely to change whoever wins the presidency next year. The Supreme Leader will always win."